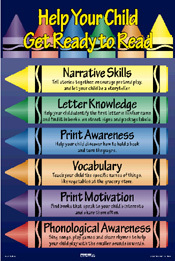 Young children need a variety of skills to become successful readers. A panel of reading experts has determined that six specific early literacy skills become the building blocks for later reading and writing. Research indicates that children who enter school with more of these skills are better able to benefit from the reading instruction they receive when they arrive at school. Vocabulary: Knowing the names of things, is an extremely important skill for children to have when they are learning to read. Most children enter school knowing between 3,000 and 5,000 words. Help develop your child's vocabulary by reading a variety of books with him, both fiction and nonfiction, and by naming all the objects in your child's world. 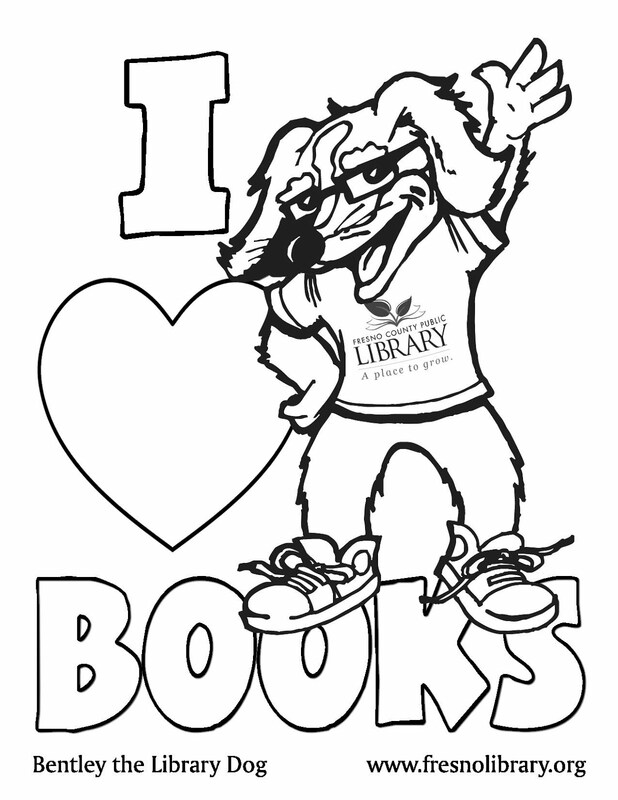 Print Motivation: Is a child's interest in and enjoyment of books. A child with print motivation enjoys being read to, plays with books, pretends to write, asks to be read to and likes trips to the library. Encourage print motivation in your child by making shared book reading a special time, keeping books accessible, and letting your child see that you enjoy reading. Explain how you use reading and writing in everyday life. Print Awareness: Includes learning that writing in English follows basic rules such as flowing from top-to-bottom and left-to-right, and that the print on the page is what is being read by someone who knows how to read. An example of print awareness is a child's ability to point to the words on the page of a book. Your child's print awareness can be encouraged by pointing out and reading words everywhere you see them - on signs, labels, at the grocery store and post office. Narrative Skills: Being able to understand and tell stories, and describe things, are important for children being able to understand what they are learning to read. An example of a narrative skill is a child's ability to tell what happens at a birthday party or on a trip to the zoo. Help your child strengthen her narrative skills by asking her to tell you about the book, instead of just listening to you read the story. Encourage your child to tell you about things he has done that have a regular sequence to them. Letter Knowledge: Includes learning that letters have names and are different from each other, and that specific sounds go with specific letters. An example of letter knowledge is a child's ability to tell the name of the letter B and what sound it makes. Letter knowledge can be developed by using a variety of fun reading or writing activities, like pointing out and naming letters in alphabet books, picture books, or on signs and labels. For babies, talk about the shape of things, and for preschoolers, try drawing letters and pictures in the sand. Phonological Awareness: Is the ability to hear and manipulate the smaller sounds in words. Phonological awareness includes the ability to hear and create rhymes, to say words with sounds or chunks left out and the ability to put two word chunks together to make a word. Most children who have difficulty in reading have trouble in phonological awareness. Strengthen phonological awareness by playing fun word games with your child; such as make up silly words by changing the first sound in a word: milk, nilk, pilk, rilk, filk. Say words with a pause between the syllables ("rab"and "it") and have your child guess what word you are saying.